Cockfield, Jamie H., CHAGALL: LOVE AND THE STAGE, 1914-1922 . NEW copy, hardcover with dust jacket. (London: Merrell Publishers, 1998). 9.5x10.5. ~~~ From Booknews: "Eighty illustrations, sixty in color, document this most celebrated phase of Chagall's career, during which he was forced by the First World War to remain in Russia, where he remained through the Bolshevik Revolution. The period includes his famous murals for the State Yiddish Chamber Theatre in Moscow. Accompanying essays discuss such topics as Chagall and the theatre, and the quest for a Jewish art in revolutionary Russia." Cork, Richard, A BITTER TRUTH: Avant-Garde Art and the Great War. VG/VG. Oversized hardcover with dust jacket in mylar. (New Haven: Yale University Press, 1994). Profusely illustrated throughout with b&w and color plates, many full-page. Notes, bibliography, index, 336 pages. Sewn binding. ~~~ "The trauma of the First World War had an immensely powerful effect on the painters, sculptors, and printmakers who participated in it. They produced an extraordinary range of striking images that conveyed the immediacy and horror of their experiences and feelings. This arresting book is the first to bring together and examine the full international array of images spawned by the Great War. Richard Cork shows how avant-garde artists from Europe, Russia, and the United States challenged the recruiting posters and other propagandist views of the struggle by producing art that reflected the degradation of the trenches. Many of their images are now counted among the landmarks of early twentieth-century art, but his pioneering and lavishly illustrated book also examines a wealth of far less familiar work. 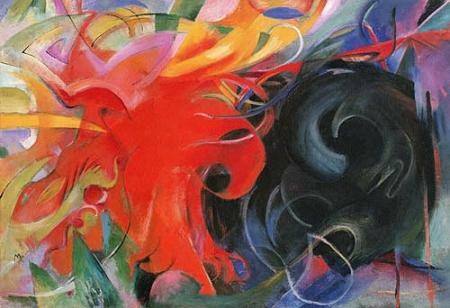 The conflict was anticipated before hostilities began by the visionary and apocalyptic work of painters such as Meidner and Kandinsky, Chagall, Nevinson, Grosz, Beckmann, Kirchner, and other artists were quick to define war's essential tragedy with objective, expressionist, or allegorical art that alluded to their own wartime experiences. The harshest images of war were made in the later stages or after the Armistice, when artists such as Dix had time to consider their participation in the war. Ironically, the post-war years also witnessed the redemptive work of Spencer and Brancusi who, after the Armistice, produced monumental affirmations of brotherhood, fortitude, and love. " 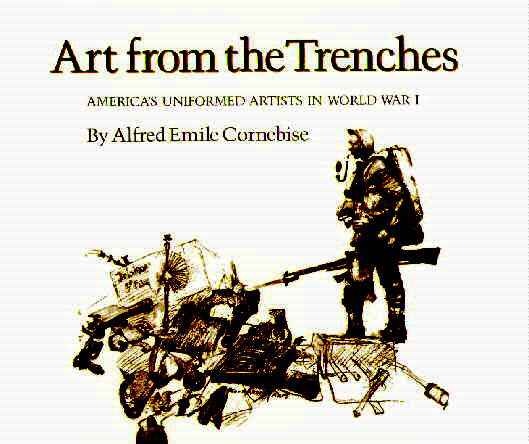 Cornebise, Alfred Emile, ART FROM THE TRENCHES: AMERICA'S UNIFORMED ARTISTS IN WORLD WAR I. New copy, hardcover with dust jacket. (Texas A&M University Press, 1991). Plates, notes, index, 157 pages. ~~~ Biographies & works by William James Alward, Walter Jack Duncan, Harvey Thomas Dunn, George Matthews Harding, Wallace Morgan, Ernest Clifford Peixotto, J. Andre Smith, & Harry Everett Townsend. Dickerman, Leah, Brigid Doherty & Sabine T. Kriebel, DADA: Zurich, Berlin, Hanover, Cologne, New York, New York, Paris. NEW copy, hardcover with dust jacket. (Washington: National Gallery of Art, 2005). 519 pages. ~~~ Along with Russian constructivism and surrealism, Dada stands as one of the three most significant movements of the historical avant-garde. Born in the heart of Europe in the midst of World War I, Dada displayed a raucous skepticism about accepted values. Its embrace of new materials, of collage and assemblage techniques, of the designation of manufactured objects as art objects as well as its interest in performance, sound poetry, and manifestos fundamentally shaped the terms of modern art practice and created an abiding legacy for postwar art. Yet, while the word Dada has common currency, few know much about Dada art itself. In contrast to other key avant-garde movements, there has never been a major American exhibition that explores Dada specifically in broad view. 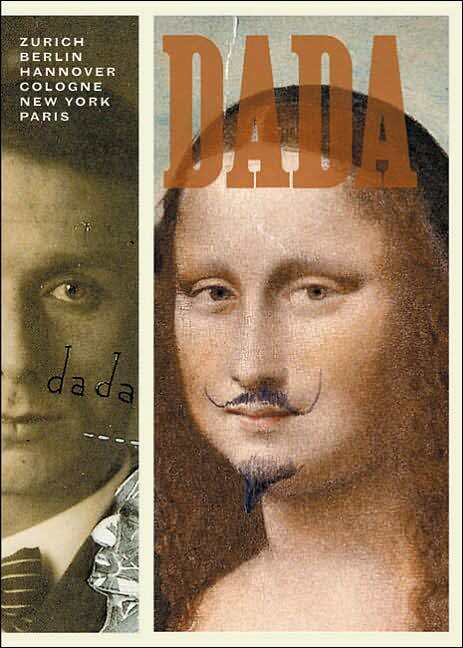 Dada--the catalogue to the exhibition on view in 2006 at the National Gallery of Art in Washington and The Museum of Modern Art in New York presents the hybrid forms of Dada art through an examination city centers where Dada emerged: Z�rich, Berlin, Cologne, Hannover, New York, and Paris. Covered here are works by some 40 artists made in the period from circa 1916, when the Cabaret Voltaire was founded in Z�rich, to 1926, by which time most of the Dada groups had dispersed or significantly transformed. The city sections brings together painting, sculpture, photography, collage and photomontage, prints and graphic work. Relying on dynamic design and vivid documentary images, Dada takes us through these six cities via topical essays and extensive plate sections; an illustrated chronology of the movement; witty chronicles of events in each city center; a selected bibliography; and biographies of each artist--accompanied by Dada-era photographs. 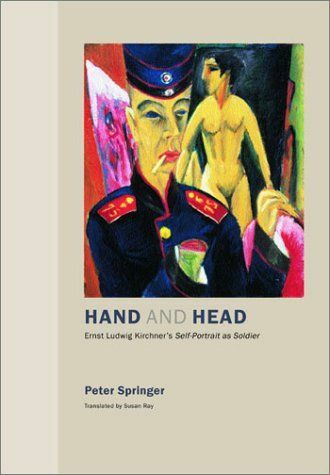 [Kirchner], Peter Springer, HAND AND HEAD: Ernst Ludwig Kirchner's Self-Portrait as Soldier. NEW copy. Hardcover with dust jacket. University of California Press, 2002. 90 b&w illustrations; 8 color plates. 189 pages. ~~~ Expressionist painter Ernst Ludwig Kirchner's Self-Portrait as Soldier (1915) is one of the best-known self-portraits of the modern classical period. With its sharp foreground focus on the uniformed artist's bloody amputated hand, the painting has long been interpreted as a vehement protest against war, specifically World War I and Kirchner's participation in it. Peter Springer's innovative study presents a convincing alternative reading of Kirchner's epochal work. Springer sees in it, not a harsh condemnation of militarism, but a marked ambivalence in the artist's attitude toward war. This new reading of the painting grows out of Springer's assessment of its imagery in relation to patronage, gender relations, and national identity - and particularly to propaganda and satire. Using Kirchner's letters and other documentation, much of it only recently available, Springer reconstructs the years of Kirchner's military service. He juxtaposes a range of visual contexts that include traditions of self-portraiture, depictions of prosthetic devices, and propaganda accounts of German soldiers hacking off the hands of Belgian and French children. He then considers Kirchner in relation to Albrecht Durer and to theoretical arguments on the relative dominance of hand and mind in the pictorial arts that invoke the image of "Raphael without hands". 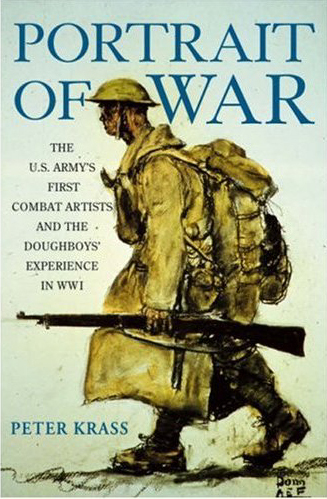 Krass, Peter, PORTRAIT OF WAR: The U.S. Army's First Combat Artists and the Doughboys' Experience in WWI. NF/NF. Hardcover with dust jacket. (Wiley, 2006). 352 pages. ~~~ Eight individuals witnessed more of the American fighting experience during World War I than any other U.S. participant, military or civilian. 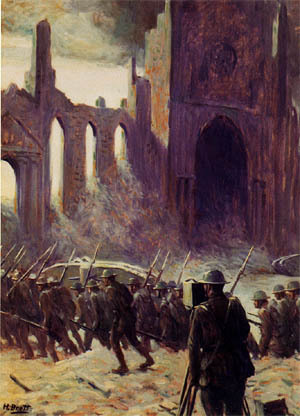 Commissioned as captains in the American Expeditionary Force (AEF), these brave men�known as the AEF's Eight�risked their lives roaming through occupied zones, blood-soaked battlefields, and the forward trenches to complete a groundbreaking mission: they were the first artist-soldiers to be recruited through official government channels to make a historical record of war. ~~~ Portrait of War tells the gripping story of these artist-soldiers for the first time. Drawing upon the graphic letters, diaries, and memoirs the men kept as well as the interviews they conducted, Peter Krass presents a completely different view of the Great War as seen through the eyes of these chosen few, who were determined to capture "the shock and loss and bitterness and blood of it." ~~~ Despite the dangers that lay ahead, the men, proud of their role in recording history, were thrilled to have what one called "a free ticket to the greatest fight in the world." The antithesis of lean doughboys primed for battle, the artists, who had received little to no formal military training, traveled the battlefields together, sketching what they saw and watching out for one another when under fire. 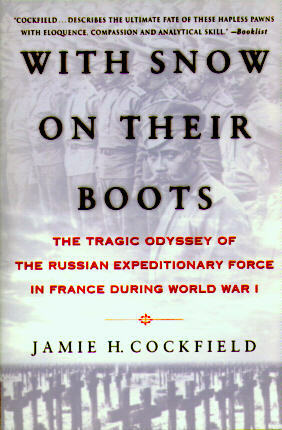 ~~~ Krass skillfully brings the AEF Eight's journey with the soldiers to life, revealing in rich, compelling detail how they shared cramped quarters on ships headed overseas and marched across the countryside, documenting the small but meaningful moments the soldiers shared in between artillery attacks. Their lives would be irrevocably altered as, with each sketch, they made new discoveries about the realities of war and the people on both sides of the conflict. 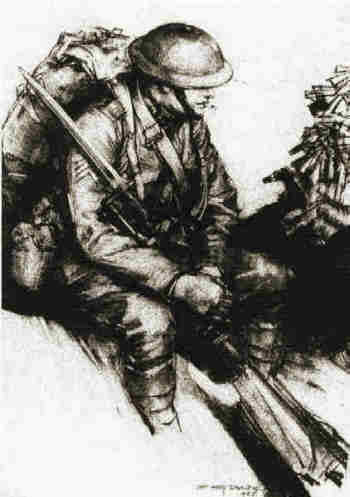 ~~~ Featuring stunning illustrations by the artists, chosen from their vast collection of remarkable work, Portrait of War is a testament to the bravery of these eight men and the soldiers with whom they shared the trenches. 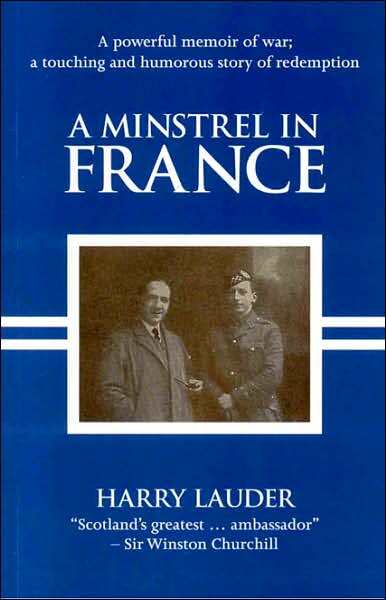 Lauder, Harry, A MINSTREL IN FRANCE. NEW copy, trade PAPERBACK. (NY: 1500 BOOKS, 2006). 299 pages. ~~~ In the early decades of the twentieth century, harry Lauder was in immensely popular British singer and raconteur. 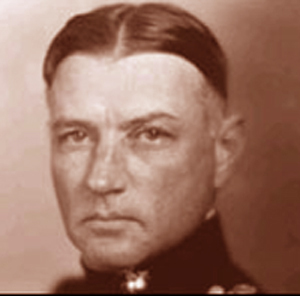 As World War I grew into "the war to end all wars," he was an active recruiter and staunch supporter of the fight against the inhumanity of the enemy. He proudly sent his only son John to serve in France, where he died in battle. 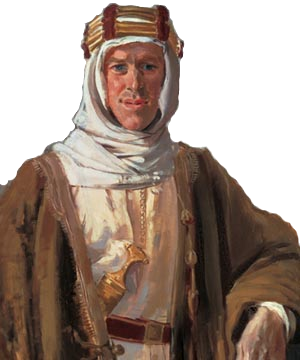 This tragedy galvanized Lauder, who became one of the first entertainers ever to go directly to the battlefront. 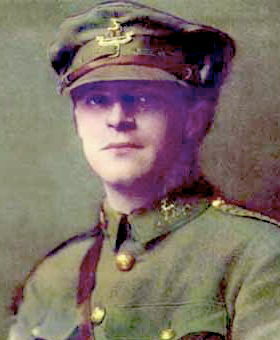 ~~~ With a small custom-built piano lashed to his jeep, Harry performed anywhere he found troops -- on the roadside, in the trenches, by the barns and chateaus that dotted the countryside. 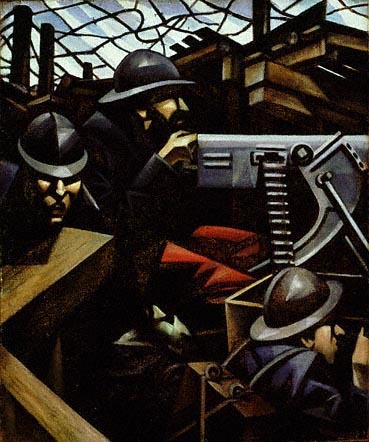 [Lewis], David Peters Corbett (ed), WYNDHAM LEWIS AND THE ART OF MODERN WAR. VG/VG. (Cambridge: University of Cambridge Press, 1998). 40 half-tones, 261 pages. ~~~ This volume considers the place of aggression and warfare in Lewis' art and literature within a closely defined historical context. Focusing on the effect of the First World War on Lewis' thought and his practice as artist and writer, it examines his war art, and the postwar politics and aesthetics in detail, and reassesses the justice of the view of Lewis as the uncontrolled aggressor of British modernism. 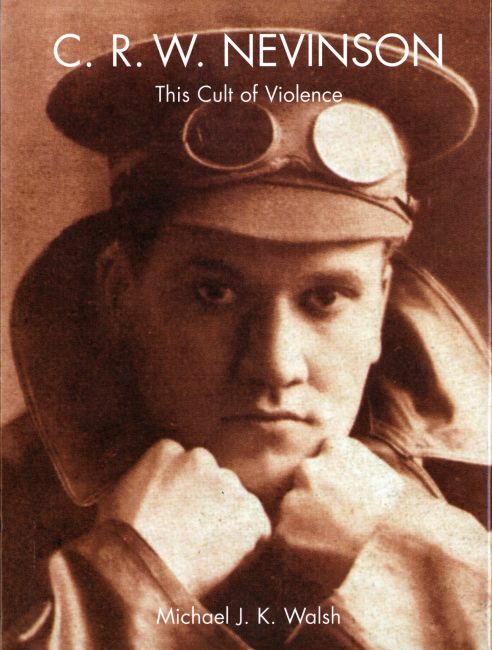 ~~~ CONTENTS: Introduction: The Subject of Modern War, by David Peters Corbett; 1. Wyndham Lewis: War and Agression, by Alan Munton; 2. 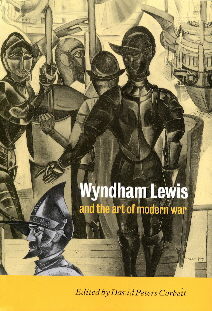 Wyndham Lewis, The Anti-War War Artist, by Tom Normand; 3. Actors and Spectators in the Theatre of War: Wyndham Lewis�s First World War Art and Literature, by Christine Hardgen; 4. Shellshock, Anti- Semitism, and the Agency of the Avant-Garde, by Geoff Gilbert; 5. �Grief with a Yard-Wide Grin�: War and Wyndham Lewis�s Work in the 1920s, by David Peters Corbett; 6. �Its Time for Another War�: The Historical Unconscious and the Failure of Modernism, by Paul Edwards; 7. Wyndham Lewis and History Painting in the Later 1930s, by Andrew Causey; 8. Aggression, Aesthetics, Modernity: Wyndham Lewis and the Fate of Art, by David Wragg. ~~~ Originally published at $99, now OUT OF PRINT. [Nevinson], Michael J.K. Walsh, C.R.W. NEVINSON: This Cult of Violence. NEW copy, hardcover with dust jacket. (New Haven: Yale University Press, 2002). The "Paul Mellon Centre for Studies in British Art" series. 7.5 x 10. 50 b/w and 25 color illustrations. 256 pages. ~~~ C. R. W. Nevinson (1889�1946) was one of the most important, colorful, and talked about artists of his generation. In the turbulent days of pre-World War I London, he gained notoriety as England�s only Futurist, and during the war he produced some of the most memorable and harrowing images of that conflict. This book focuses long overdue attention on Nevinson�s dynamic early career, drawing on newly located archives and on the press of the period to shed new light on the young artist and the power of his progressive paintings. 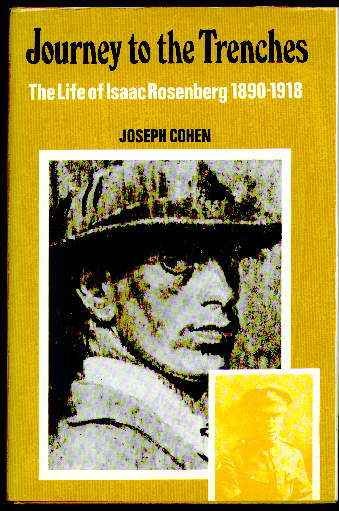 [Rosenberg, Isaac], Joseph Cohen, JOURNEY TO THE TRENCHES: THE LIFE OF ISAAC ROSENBERG, 1890-1918. VG/VG. (NY: Basic Books, 1975). Jacket price-clipped, otherwise a nice clean copy. Photographs, references, notes, blbiography, index, 224 pages. ~~~ The best biography of one of the major English poets & painters of the First World War, killed in action on the Western Front in early 1918. Silver, Kenneth E., ESPRIT DE CORPS: The Art of the Parisian Avant-Garde and the First World War, 1914-1925. Princeton University Press, 1989. NEW condition, still in shrinkwrap. Hardcover with dust jacket. 528 pages. ~~~ "In analyzing the changes in modern art between the outbreak of World War I and the Paris Exposition des Arts Dcoratifs of 1925, Kenneth Silver shows that the Parisian avant-garde was deeply involved in French society and its dominant values and relationships. He radically reinterprets masterpieces of modern art, from Matisse and Picasso to Leger and Le Corbusier, demonstrating how their creators all refer, consciously or not, to the Great War and its aftermath. 'It's impossible to suppose that anybody will ever study the French art of this period without acknowledging dependence on Silver's huge book. In it a genuine historical crisis is studied by minute application to works of art and artistic controversies. ~~~ It sets high standards.' --Frank Kermode, The London Review of Books. ~~~ "One of the outstanding books of the past decade and an indispensable addition to the history of twentieth-century art." --Holland Cotter, Art in America. ~~~ "Ranks among the small number of works necessary to the understanding of art of this century." --Philippe Dagen, Le Monde. Silver, Kenneth E., ESPRIT DE CORPS: The Art of the Parisian Avant-Garde and the First World War, 1914-1925. Princeton University Press, 1989. NEW copy, hardcover with dust jacket. 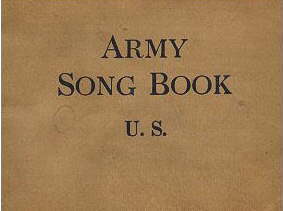 U.S. Army, U.S. ARMY SONG BOOK. VG. Government Printing Office, 1918. Cloth covers darkened with age. Interior clean and tight. 5x4. Illustrated with drawings. 94 pgs. Includes La Marseillaise, God SaveThe King, La Brabanconne, The Garibaldi Hymn, and Over There; otherwise mostly old American standards. 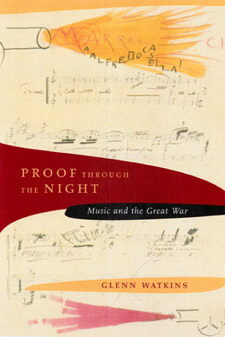 Watkins, Glenn, PROOF THROUGH THE NIGHT: Music and the Great War. NEW copy, hardcover with dust jacket. (Berkeley: University of California Press, 2002). Illustrations, 614 pages. Includes CD. ~~~ Carols floating across no-man's-land on Christmas Eve 1914; solemn choruses, marches, and popular songs responding to the call of propaganda ministries and war charities; opera, keyboard suites, ragtime, and concertos for the left hand--all provided testimony to the unique power of music to chronicle the Great War and to memorialize its battles and fallen heroes in the first post-Armistice decade. In this striking book, Glenn Watkins investigates these variable roles of music primarily from the angle of the Entente nations' perceived threat of German hegemony in matters of intellectual and artistic accomplishment--a principal concern not only for Europe but also for the United States, whose late entrance into the fray prompted a renewed interest in defining America as an emergent world power as well as a fledgling musical culture. He shows that each nation gave "proof through the night"--ringing evidence during the dark hours of the war--not only of its nationalist resolve in the singing of national airs but also of its power to recall home and hearth on distant battlefields and to reflect upon loss long after the guns had been silenced. Watkins's eloquent narrative argues that twentieth-century Modernism was not launched full force with the advent of the Great War but rather was challenged by a new set of alternatives to the prewar avant-garde. His central focus on music as a cultural marker during the First World War of necessity exposes its relationship to the other arts, national institutions, and international politics. From wartime scores by Debussy and Stravinsky to telling retrospective works by Berg, Ravel, and Britten; from "La Marseillaise" to "The Star-Spangled Banner," from "It's a Long Way to Tipperary" to "Over There," music reflected society's profoundest doubts and aspirations. By turns it challenged or supported the legitimacy of war, chronicled misgivings in miniature and grandiose formats alike, and inevitably expressed its sorrow at the final price exacted by the Great War. Proof through the Night concludes with a consideration of the post-Armistice period when, on the classical music front, memory and distance forged a musical response that was frequently more powerful than in wartime. ~~~ From The Los Angeles Times: "Generously illustrated throughout and supplemented with a CD of musical selections, Proof Through the Night is a scholarly triumph, an important history and a moving narrative." ~~~ Currently in print at $49.95.